Solutions operating at ultra high frequency television band (UHF TV) have been deployed in above ground networks and communication systems providing data connectivity for different applications, but its’ deployment for underground communications haven’t been tested to date. Signal level and throughput measurements have been organised inside a mine environment that exploits platinum ore in the Republic of South Africa. Signal propagation has been modelled using scatter and direct signal component for which losses follow 15th and 6th power of the distance on the crossing and in the tunnel respectively. 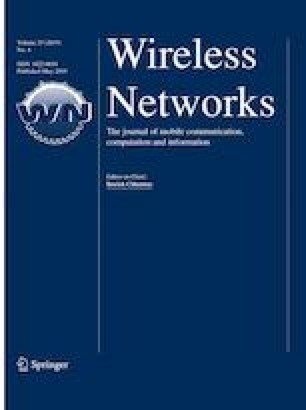 Measurements taken in the mine showed a connectivity with UDP level throughputs in the order of 1 Mb/s for distances of 350 m. It was demonstrated that the proposed deployment could be combined with Wi-Fi networks in 2.4 and 5 GHz for connecting standard smart devices from underground to above ground communication systems including the provision of internet services. It is expected that communication systems based on UHF TV band could supplement or even replace existing communications that are usually based on leaky feeders since they can provide wireless broadband data connectivity in a mining environment. Authors would like to thank to Mr Keith Pitout, Chief Technical Officer of Indigo Broadband South Africa (Pty) Ltd, for his participation in the measurements and for taking photographs of mining environment during the measurements. Sun J. P., & Zhang, H. W. (2006). A simple method to analyze the propagation of electromagnetic wave in rectangular coal mine tunnel. In 7th International Symposium on Antennas, Propagation and EM Theory. https://doi.org/10.1109/isape.2006.353496. Niu, L., et al. (2007). Analysis and comparison of the performance about wireless modulation technologies in the empty and straight mine laneway. In IEEE 2007 international symposium on microwave, antenna, propagation, and EMC technologies for wireless communications (Vol. 1, pp. 756–760). https://doi.org/10.1109/mape.2007.4393734.